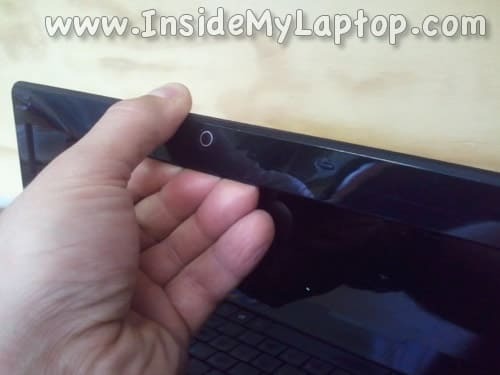 Insert your fingers under the bezel and start separating it from the display assembly. 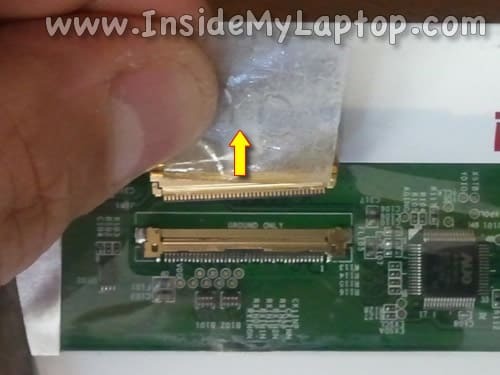 Continue separating the bezel from the display assembly with a piece of plastic (I’m using the guitar pick). 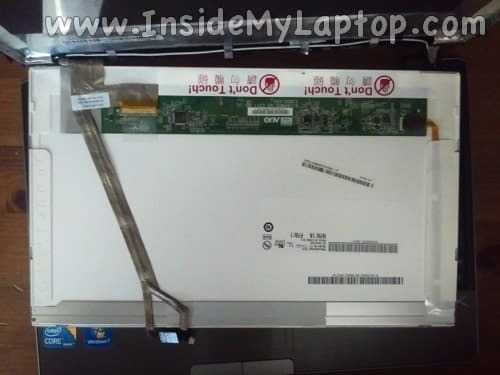 Remove two screws securing the LCD on the top of the display assembly. 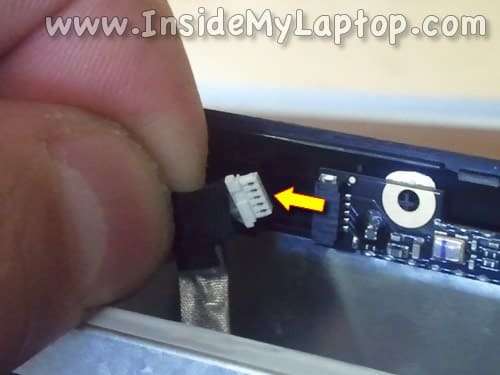 Carefully disconnect one cable from the web camera module. 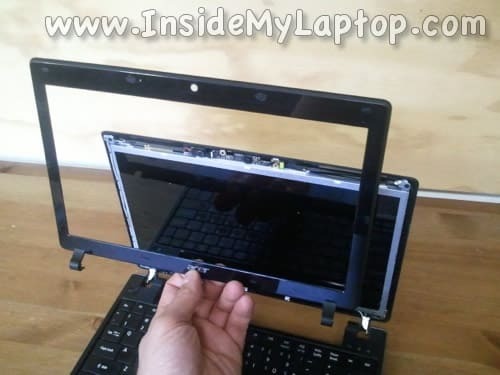 Now you can separate the LCD from the display back cover and place the it the front side down on the palmrest/keyboard assembly. 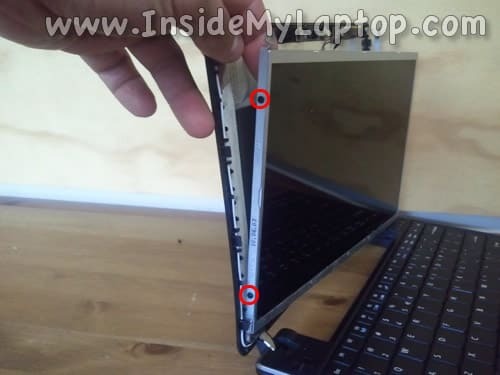 On the back side you can access the video cable harness. 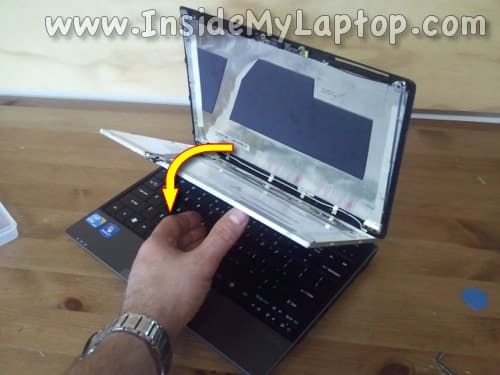 Unglue the web camera cable from the screen. 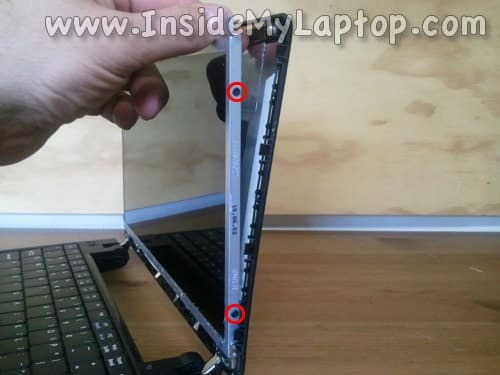 Remove the damaged LCD from the display assembly. 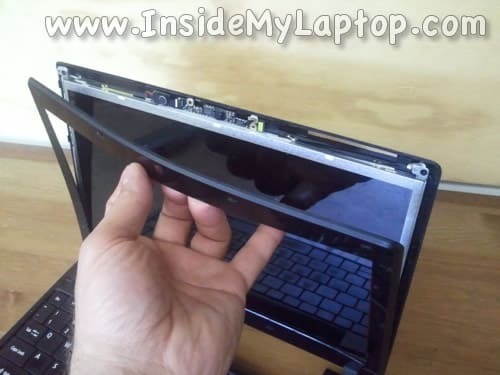 After the replacement you can assemble everything back together following all disassembly steps in reverse order. 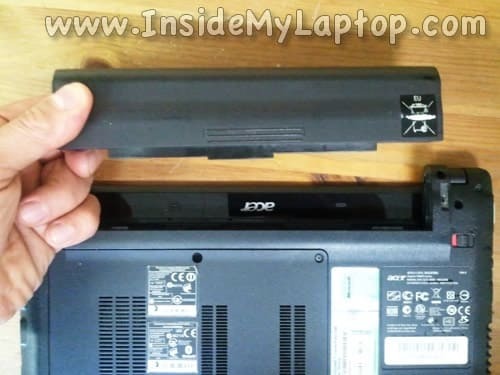 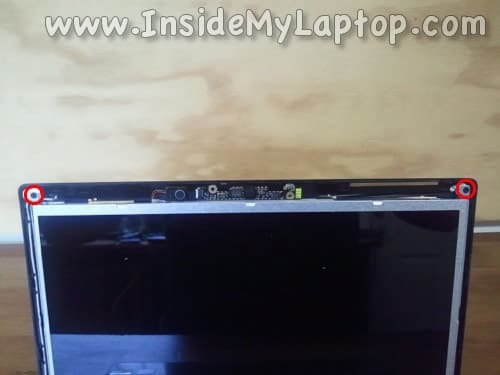 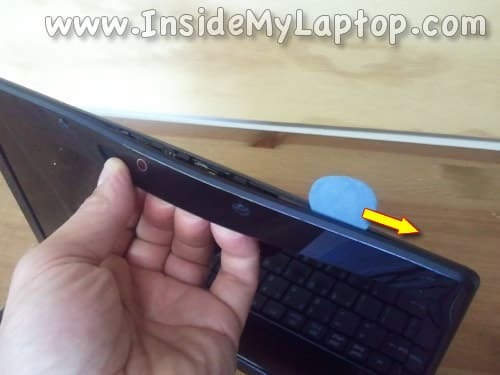 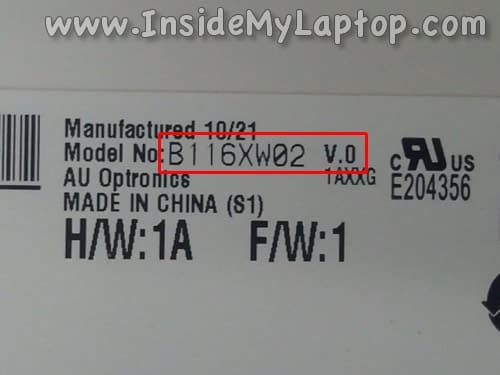 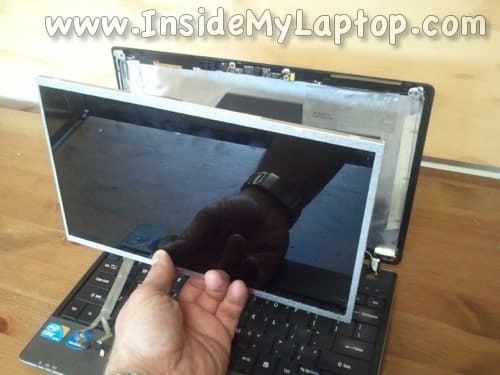 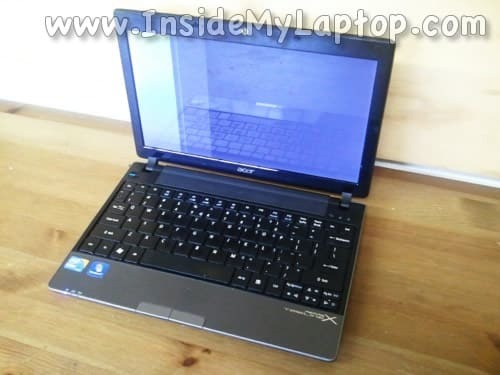 You can find a replacement LCD screen for your Acer Aspire 1830T if you search by the model number from the original part.